Wel­come! I’m Cheryl, and I’m a big fan of kids’ art­work! 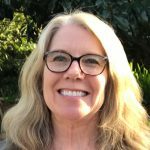 I taught Art to kids for over 20 years, and it was the best job ever! Even though I’m not in the classroom on a regular basis now, it’s still my passion to see as many kids as possible enjoy art in their life! Noth­ing is more inspir­ing than watch­ing kids of all ages dis­cover their abil­ity to be creative! There’s some­thing spe­cial about the per­son­al­ity, charm, char­ac­ter, and spon­tane­ity found in the art kids cre­ate. Hid­den inside this cre­ative process are incred­i­ble ben­e­fits.… Art gives kids the free­dom to make choices where there isn’t only one “right” answer, encour­ag­ing crit­i­cal think­ing and self-expression. Plus, it devel­ops skills of analy­sis, prob­lem solv­ing, inven­tion, and reflec­tion.… the same thought processes used by today’s greatest thinkers, inven­tors, and lead­ers. And, kids love it!! I have a degree in art and an art ed cre­den­tial, but I’ve learned that you don’t need to be an “artist” or have an art back­ground your­self to teach the basics of art to kids. All you need are good lessons to fol­low (like fol­low­ing a recipe), enthusiasm, interest, and a desire to learn! Through the years, I’ve had the privilege of teaching Art from kindergarten through high school in a variety of settings…. public school, private school, charter school, homeschool, summer camps, and even teaching Painting and Ceramics to differently-abled adults at our local community college. This wide range of experiences taught me so much and I’m excited to continue sharing all I’ve learned to help others find their own success teaching Art to kids! I’ve devel­oped hun­dreds of suc­cess­ful art lessons for kids, and my goal now is to make them acces­si­ble, so more kids can ben­e­fit from them. Many of my lessons are available for FREE on this website. 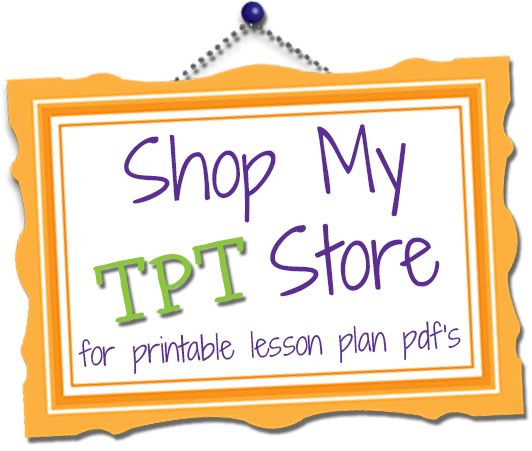 You can also find detailed tutorials on my Teachers Pay Teachers store. I hope you’ll enjoy using my lessons to share the joy of ART with the kids in your life! Some of the links on my website are affiliate links. Affiliate links will direct you to sites like Amazon.com, where you can purchase or get more information about the books or products I talk about. If you make a purchase by clicking through my site, I get a small commission but it won’t cost you anything extra. I will only link to specific products that I personally use and love and any reviews that I post are my personal opinion. Whenever possible, shop local first and support your local art store! © 2015 Teach Kids Art. Please do not reproduce any text or pictures without my prior consent. Unless otherwise noted, all content on this site is written and edited solely by me. For questions concerning this site, please contact me at: cheryl [at] teachkidsart [dot] net. Pinterest Friendly – Yes you may pin my photos!